While countless critics of the United States election system will always be present, and generally not without reason, there are few out there who would deny the sanctity of the voting process itself, the tremendous importance it has in determining a country's future. It shouldn't come as a surprise that some people have been found guilty of voter fraud, risking their life in freedom to give their favourite candidate an ever-slighter chance of winning the election. The extremes people can go to in order to decide on the future of an entire nation have no limits, and as we see it in Dark Network by James McCrone, the second book in the Imogen Trager trilogy, the line separating friend from enemy is razor-thin in that atmosphere. This second story takes off not too long after the first one came to an end (titled Faithless Elector), with the FBI thinking that they have finally dealt with all the enemies threatening the balance of power. They are now more or less calmly cleaning things up and setting all things in their rightful order. However, the truth is that the enemies have burrowed far deeper than even the FBI anticipated, and what they thought was the great culmination of their plan was nothing but the beginning of something much greater and far-reaching. The American election is about as unsafe as it ever was, and what's worse, none know how many moles they've managed to infiltrate in the organization. Now that certain electors are being selectively gunned down, Imogen Trager must plunge into action once again with a small group of agents who can hopefully be trusted to not be amongst the conspirators... but even so, would it be wise to trust anyone at all in this chaos that's about to boil? This second FBI thriller from McCrone follows in the same spirit as the first one, being mostly focused on the action and interested in moving events along more than anything else. The chapters are divided into short and sweet headings that make the story not only very easy to follow, but very quick to read through as things are always clear and you never feel like you're getting bogged down in unnecessary details or overgrown descriptions. While he does take the time to educate the reader on certain points of the electoral system, often using a character as his voice, these moments aren't exactly overly prevalent. Whether it's through dialogue, news reports, or traditional narration, the author pushes things to move quickly and efficiently, understanding that the true meat of his story is the action rather than anything else. Now, with that being said, there are of course moments where we get better acquainted with our heroine, getting peeks into the inner workings of her mind, her hopes and dreams as well as the small thoughts that keep the wheels of our brains turning. This is perhaps where one small complaint with the book lies: it shows when a woman character was written by a man, especially if shes' a protagonist. 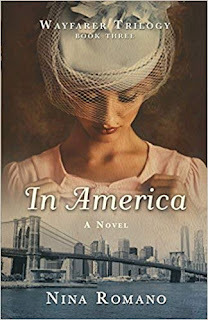 There is just something a bit too mechanical in the way Imogen is developped as a character, as if the author was checking things off a list, rather than let her thoughts flow naturally and develop. However, considering the bulk of the book is centred on the action, I'd say this is quite a tiny inconvenience. Much of the intrigue in the book comes from not knowing who is truly friend or foe, and McCrone does a commendable job at building a tense atmosphere mainly through dialogue in which the characters explore the potential meanings of the events surrounding their investigation. The cat and mouse game is as intense as ever, especially since in the end, it becomes debatable as to who plays which role out there. Our expectations are skillfully subverted on a few occasions and the game between hunters and hunted pulls us in unexpected directions on more than a few occasions. I think perhaps McCrone's greatest strength in this book comes from his ability to create invigorating spy chase scenes, the kind where tracking technology and split-second decisions rule the day. Personally, I've always been a tremendous fan of these sorts of slower, more deliberate and cerebral chases where mental acuity is much more important than cardio or reflexes. McCrone draws them out in such a way that you always feel doubt in regards to who has the upper hand and whether or not our heroes will be able to outsmart the villains who themselves are infuriatingly intelligent. Ultimately, it all culminates in a rather violent finale, one that I believe is a satisfying way to bring to a close this second chapter while leaving some open room for the final one. 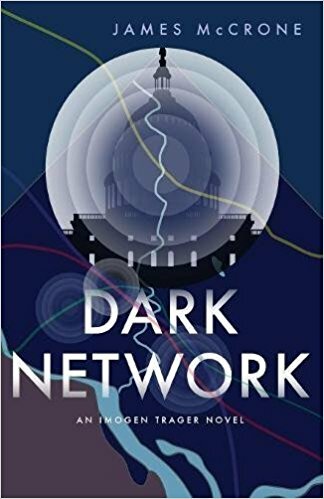 To bring this review to a conclusion, Dark Network is a fine and entertaining thriller, one that is certainly a commendable effort for an author's second book. While it does have a couple of flaws here and there as well as some technical imperfections, I would still confidently classify this as a very entertaining political thriller written by an author who knows how to capture the reader's attention and give them the excitement they want. If FBI-centric political thrillers are up your alley, then I highly recommend you give this a book a try. 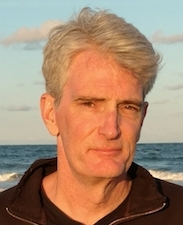 James McCrone is an American author who has so far written two books in his Imogen Trager trilogy, Faithless Elector and Dark Network, following the FBI agents as she unravels one conspiracy after the next surrounding the American presidential election. He graduated in 1990 from the University of Washington in Seattle with a Master of Fine Arts degree in Creative writing.